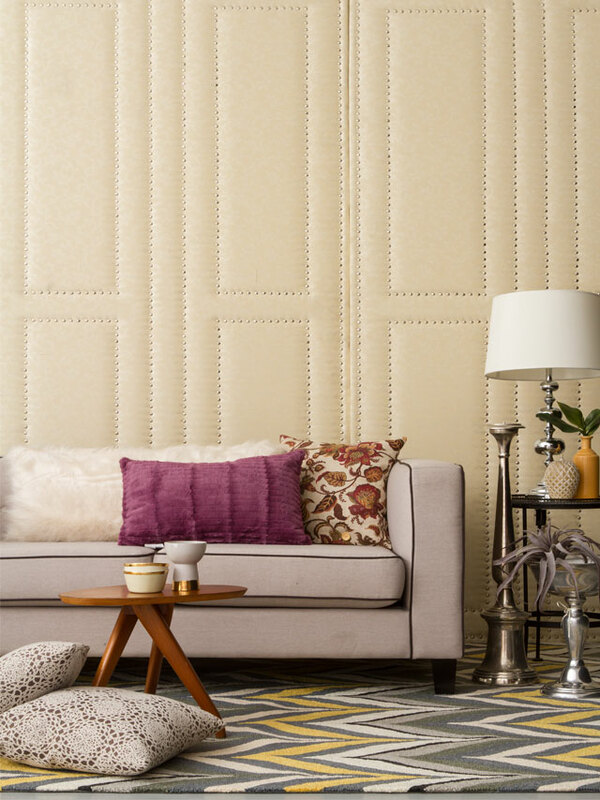 When it comes to decorating, a neutral palette—meaning, a palette consisting mainly of the colors beige, gray, and all permutations of brown—is an extremely versatile and flexible color scheme that goes with any style of interior. However, when not used right, too many neutrals can become a bore. But these Real Homes and vignettes prove otherwise! Scroll down and get some inspiration. This living room gets its contemporary-modern look from its grayish-beige ("greige") walls complemented by furniture and accessories in similar tints, but with sleek, bold lines. 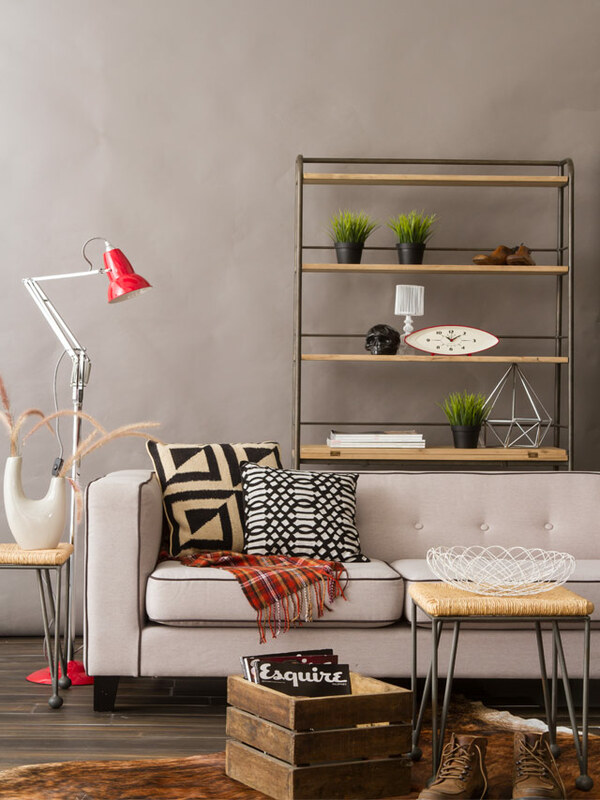 Tribal pillows and a floor lamp in a bold, glossy finish make bold accents. 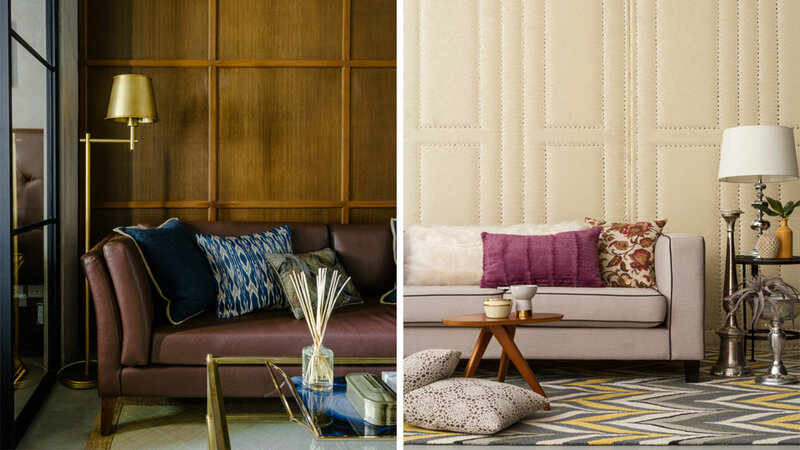 Neutral living rooms can also be luxurious! This space shows us how it’s done by offsetting its beige colors (same sofa as above) with metallic accents and classic detailing, such as the nailhead tufting on the wall, candelabra, and the floral tapestry and lace pillows. The living room of eco-architect Lisa Crespo seems to blend in with nature. Bright green mother-in-law's-tongue potted plants and lively red rose pillows add a natural freshness to the well-lit space. Designer Gino Eraña's own living room is moody but cozy at the same time. 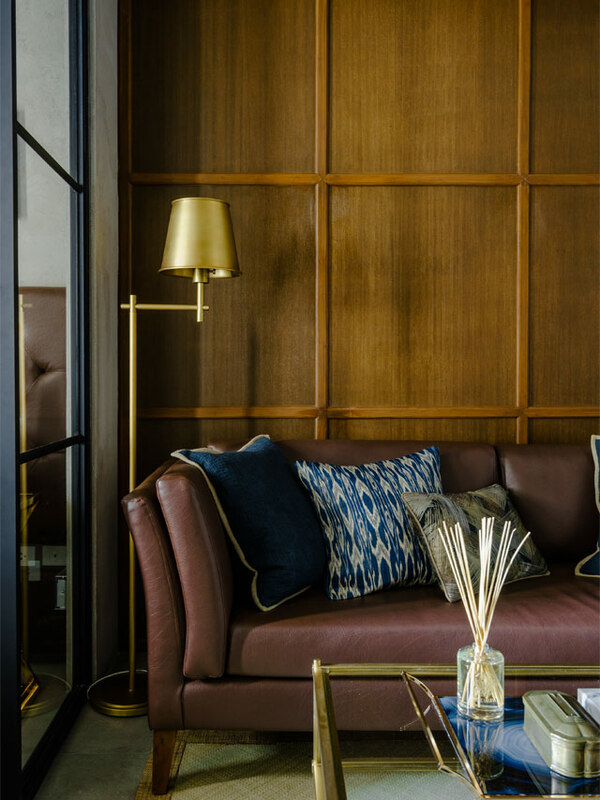 Golden-hued wood paneling plus a deep, burgundy-brown sofa coupled with matte gold accents in the floor lamp and center table give the space a luxe, gentlemen's-club-style look. This neutral living room is gender-neutral as well. 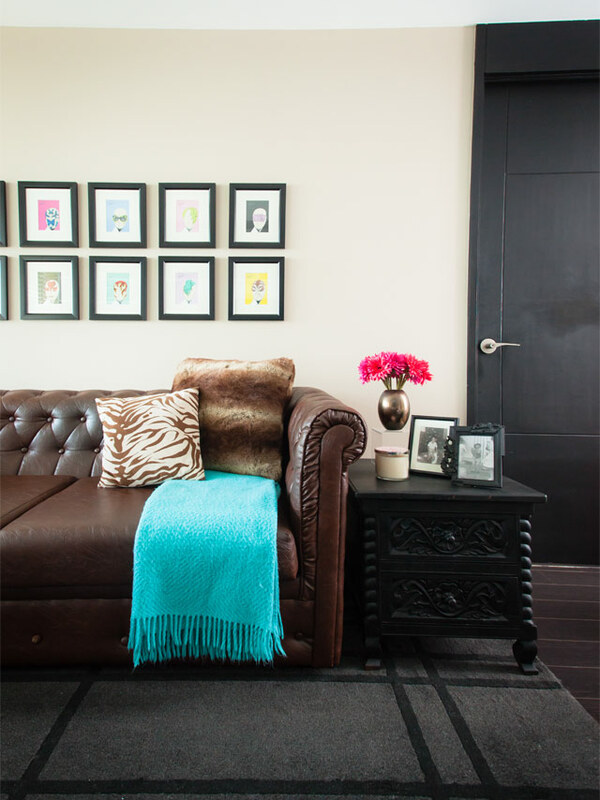 The brown Chesterfield sofa gives the space a masculine touch, but this is tempered by feminine accents like a soft, turquoise throw, colorful gerberas in a vase, whimsical artwork, and a fur pillow.